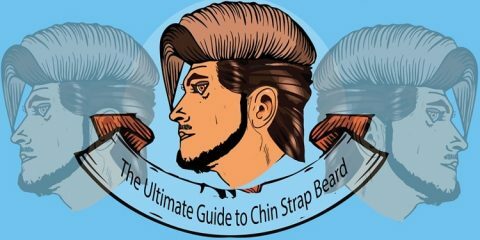 Depending on the length, texture and growth rate of facial hair, different men require different trimmers and shaving implements. 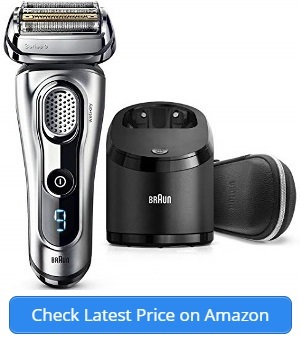 Those with light growth, such as younger boys who have just started shaving or men who only need to trim and shape their beards prefer going for manual razors: although extremely slow, they are very easy to control and simple to take care of.However, men who have thick or curly hair, or whose growth rate is extremely high, choose to switch over to electric shaving machines. Their facial hair just cannot be tamed with a regular manual razor.Even amongst electric shavers there is a large variety to choose from. One of them is the Wahl 9916-817 Groomsman Beard and Mustache Trimmer, available in numerous stores, both online and offline. 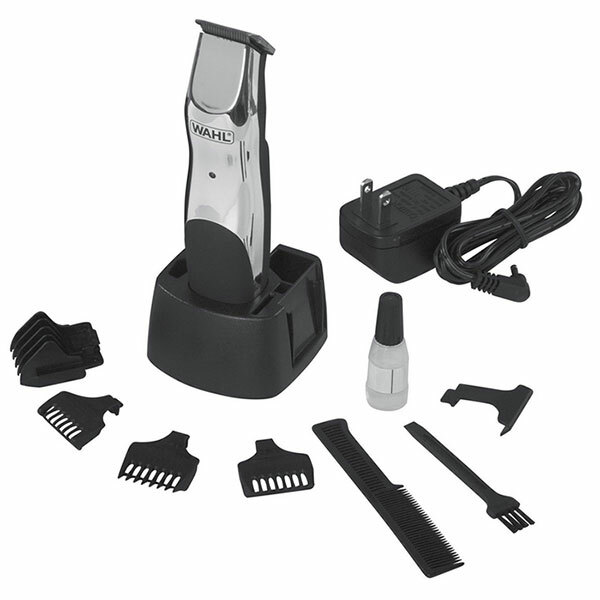 Check price >> Wahl 9916-817 Groomsman Beard and Mustache Trimmer Here! For almost a complete century, Wahl has been producing trimmers, razors and other grooming appliances, and began making their electronic shavers from 1984 onwards.Based in Sterling, Illinois, Wahl is one of the few companies who produce electronics in their own factories instead of outsourcing the work to other producers. As such, Wahl products are of the highest quality, coming with a professional heritage of 89 years. 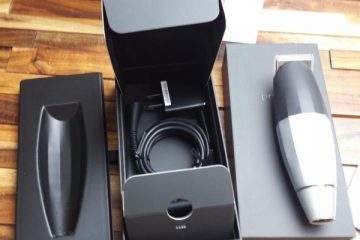 The problem with most electric trimmers and shavers is that they are either attached to a cord – making one dependent on the availability of a nearby electrical outlet – or, if they are cordless, require batteries which quickly run out and need to be replaced regularly.The Wahl 9916-817 Groomsman Beard and Mustache Trimmer avoids such hassles by coming with a rechargeable battery: all it requires is to simply place the trimmer in the charging cradle and plug it in after a few uses. 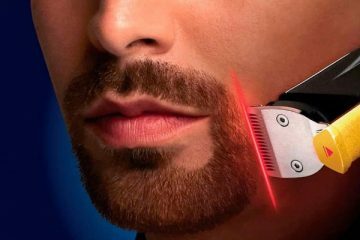 This allows one to use the trimmer anywhere, and not have to worry about getting an electrical shock as sometimes occurs when shaving with a corded electric shaver. One of the issues with many electric shavers is that they are unable to change the length of the trim. 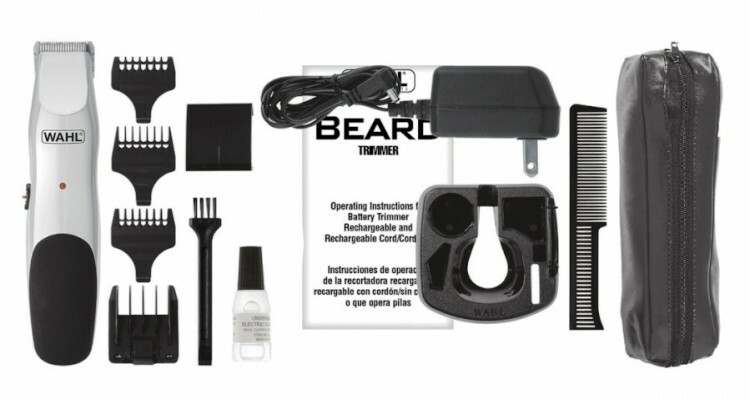 Beard trimming is near impossible in normal trimmers without the use of a comb, which can lead to inconsistencies in the shave.The Wahl Groomsman Beard and Mustache Trimmer completely eliminates this issue by coming with 7 different beard regulators which simplify the job. Where electric shavers are heavy, clunky and difficult to maneuver, the Wahl Groomsman weighs in at a little over a pound and has a soft, easy-to-grip outer layer which prevents fingers from slipping off. 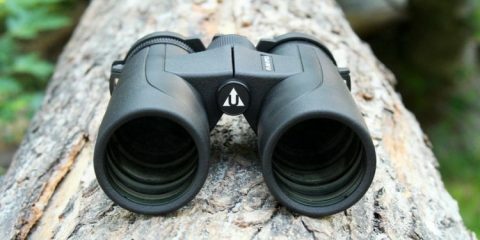 At the same time, it manages to be very sturdy: dropping it or getting it wet causes no problems in its functionality. As those who have had to shop for any and all electrical appliances know, most of them come with a warranty of barely a few months, if that. Companies know that there is a larger chance of electrical appliances short-circuiting or components breaking and do not want to take the risk.Those at Wahl, however, have their customers covered: the Wahl Groomsman comes with a 3 year warranty – a figure calculated by finding the average time after which most electrical grooming appliances are replaced. The standard Wahl 9916-817 Groomsman Beard and Mustache Trimmer package also comes with different blade brushes and a beard comb to assist in beard maintenance, a blade guard, a container of blade oil to keep it running smoothly, and a styling booklet with instructions on how to achieve numerous looks. On top of that, the charging cradle doubles up as a storage base.Wahl’s Groomsman is neck-and-neck with some of the leading brands in the electric grooming appliances market.